Gallatin Airport Authority’s financial audit for the year ended June 30, 2017 was completed this month by the independent audit firm Holmes & Turner, PC. A clean (unmodified) opinion was issued once again by the auditors, and no findings were noted. You can find a copy of the Comprehensive Annual Financial Report in the ‘Financial Documents’ section of our website or by following this link. 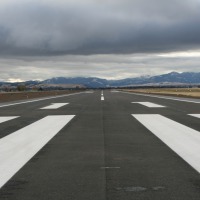 American recently awarded Envoy the ground handling contract for Bozeman Yellowstone International Airport (BZN). 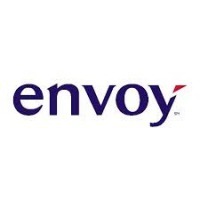 Envoy is scheduled to transition BZN from American’s current third-party handler on Dec. 14. 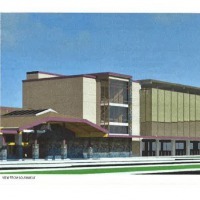 The Gallatin Airport Authority has awarded a $28.6 million dollar contract to Sletten Construction for construction of the four level, 1,100 stall fully covered Multi-Use Parking Garage of which 90% will be occupied by the seven car rental brands operating in the terminal with the remaining 10% for premium pay parking. Construction is expected to begin in late December with a projected completion date of June 1, 2019. 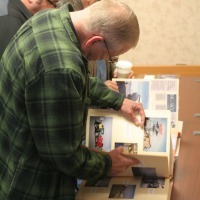 In 1940, aviation had started to become a staple in communities. In Montana, airline service had been in the state for over a decade with cities like Miles City, Butte, Billings, Missoula, Great Falls, Helena, Lewistown and West Yellowstone all having airline service in 1940. Meanwhile the residents of the Gallatin Valley watched as these airliners flew over the Valley between Butte and Helena. That needed to change. Click here to view the agenda for the Board Meeting to be held Thursday, November 9, 2017 at 2:00pm. Click here to view the agenda for the Board Meeting to be held Thursday, October 12, 2017 at 2:00pm. BOZEMAN, MT (September 26, 2017) Bozeman Yellowstone International Airport (BZN) will conduct a full-scale aircraft disaster exercise on Saturday, September 30, 2017 to test on-scene coordination between the airport, airline and emergency response personnel from throughout the valley. This exercise meets the Federal Aviation Administration (FAA) requirement to conduct a full-scale emergency exercise every three years in addition to annual table-top drills. Click here to view the agenda for the Board Meeting to be held Thursday, September 14, 2017 at 2:00pm. New Tower Manager Greg Steffen and SERCO Program and Operations Manager Dave McCann will be available to address all your questions and concerns regarding air traffic control at BZN.